Doctors were shocked what they saw inside this woman's ear. 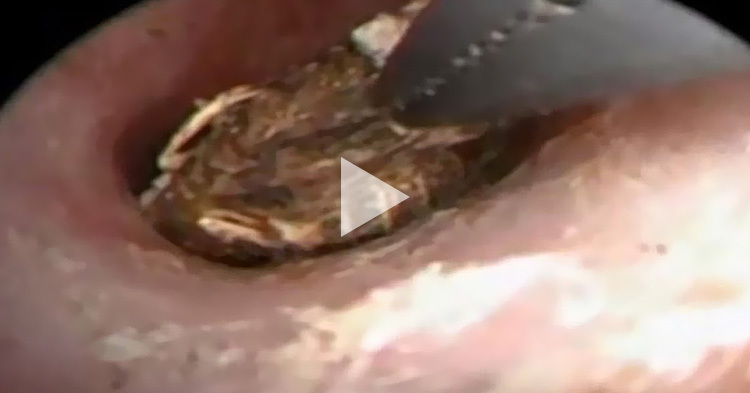 What they found inside her ear was totally shocking! A gruesome moment when a woman found out that there was a centipede in her ear! When she woke up, she felt something strange in her ear so she rushed to the nearest hospital. The woman went to Yangzhou hospital in the Jiangsu Province of China and visited a doctor's surgery to check on her ear. The doctors check on her ear and discovered a centipede in it. They used an electric otoscope so they can be able to look inside the ear. The creature had crawled into the Chinese woman's ear while she was sleeping. 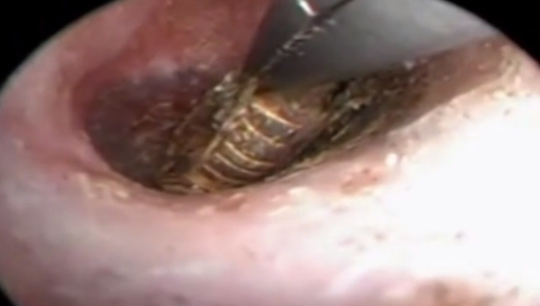 In the video, the procedure shows a doctor elaborately removing the insect from inside the ear when it refused to come out. The doctor used saline solution to kill it so he can remove it easily. At one point the insect appears to attempt to go outside by itself before heading back in to its new home. 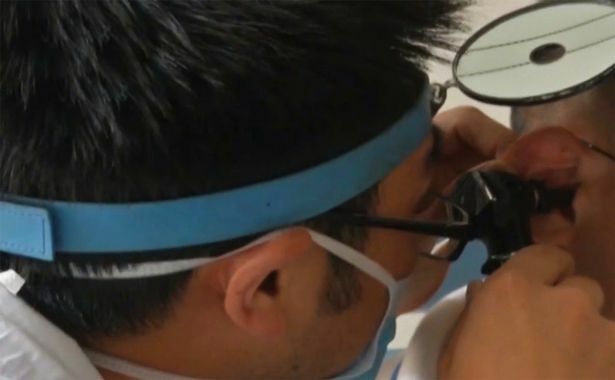 Using a pair of tweezers, the doctor can be seen pulling the dead centipede from outside of the patient's ear. Luckily, the woman just suffered minor injuries to her ear and it now recovering. According to experts, small centipede can produce a painful reaction similar to bee sting. Centipedes are members of the arthropod family can be venomous, but are not life-threatening. Larger centipedes have more venom and there bites can be extremely painful. There was another incident like this that a centipede was found inside the ear July this year. Grant Botti woke up from extreme pain from his ear and as he pulled something from his ear he saw a four inch long centipede. His mother, Angela, placed the centipede into a plastic bag and rushed her son to the nearest hospital. Good thing, nothing serious happened to his ear. Doctors found small abrasions inside his ear. He was treated and discharged that day.